Web to Print Designed for Real Estate Brokerages. In house creatives are able to create editable template layouts for the entire brokerage or a subset of the company. Allowing your agents the ability customize and order high quality print material without compromising brand integrity. Our advanced drag-&-drop template builder gives company admins the ability to easily create templates in-house. Easily create layouts for show sheets and various postcards sizes. Our mission is to help you promote your brand. We will work closely with you, to match brand guidelines and create templates that can be shared company wide will keeping your brand integrity. Create stunning print collateral with just a few clicks. With data powered templates, never spend time manually uploading listing content. Make Booklets part of your marketing strategy. Glossy - Slight sheen, without the mirror-like look of full UV Gloss. Matte - Reduced glare for smoother appearance & higher contrast. Make the best impression at open house's and events. 11 x 17 folded to 8.5 x 11 with 4 sides. Show that you mean business with professional printed show sheets. 8 .5 x 11 with option to be 2 sided. Glossy+UV - Premium coating, very reflective, providing a layer of durability. Postcards provides a versatile marketing solution. 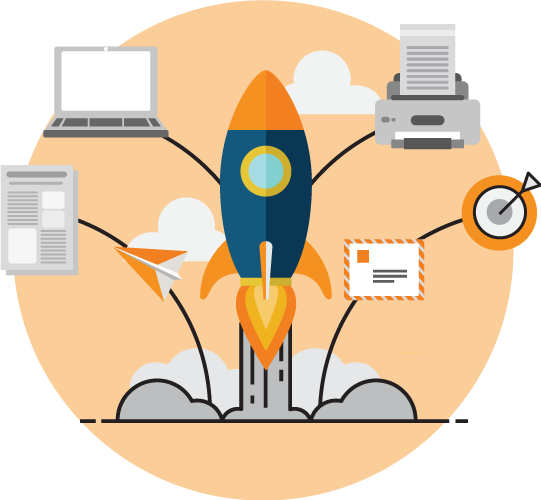 Save time with mailing out postcards with our direct mail system. Add your contacts, add content to your template, and we'll mail it for you.